My novel ‘A Decent Woman’ turns one-year old on February 20, 2016, and you best believe I will be celebrating with champagne, just as I did the evening my publisher emailed to say, “Your book is live on Amazon.” I drank the entire bottle–no wine glass–and yes, I was alone! That day ranks right up there as one of the most thrilling days of my life. I am currently writing my second book and thinking back to my experiences on the road to publication. I am happy. Every setback, challenge, and joy, and each little miracle with my first book reminds me that choosing to live a creative life at age 50 was worth it all! In looking back, I’ve come up with a writing contract for myself for 2016. I’d love to share it with you. Whether you’re a writer or a reader, I hope you’ll glean a little encouragement to live your life to the fullest, and do what you love. If you don’t write, replace ‘writing’ with whatever you like to do, or simply think of the sentences as they pertain to life. Continue to tell stories that matter to me, with characters who do extraordinary things while leading simple lives during extraordinary times. Remind myself how blessed I am to do what I love when writing becomes difficult. Push myself to write every day. When I don’t think I can write another word, I will stand up from my writing chair and take a walk in nature. Or write a blog post. Call a good friend. Knit. And return to my writing chair. Connect with friends and family on Sundays, and take days off when I feel the need to rest my mind, body, and soul. Treat my writing (and marketing my books) like a job because it is. Remember that my writing life is my writing life. Learn more about developing my craft; read more; and keep writing to the best of my ability. Encourage more fellow authors by buying their books and writing more reviews. Pay it forward with my fellow writers on social media, and continue offering them author interviews at my blog. Pat myself on the back for a job well done after a good writing session, and remember that it’s not life or death, even though it feels like it! Keep writing about what is deep in my heart; whether it’s popular or not. Silence my inner censor–I can write another good book. Pat myself on the back for a job well done after a ‘bad’ writing session–I showed up and put in the hours. Follow the literary trends of writing books in the popular genre of the month. I write what I’d like to read and hope my stories resonate with readers. Obsess about reviews, positive or negative (a tough one for me). My writer friend says that what readers say about my book is none of my business. We all filter information through our life experiences. The book is no longer mine. Push myself to the point of mental exhaustion. I can play with my animals, read, sit in the sun, or daydream for 30 minutes to refresh and regroup. Or take a nap. Compare my writing to other writers, whether they’re in my genre or not. I’m on my journey and path. They are on their journey and path. Become impatient with myself. The words will come. Sweat what I don’t know today. The journey is as important as reaching the goal. What can you do as a good reader and fan of your favorite writers? Buy their books, books, books. Soon after finishing a book, write an honest review and post it on social media and on Amazon while it’s fresh in your mind. We truly appreciate your reviews. Interact with your favorite authors on social media. Writing is a lonely business. Keep reading! Who wants an empty Kindle or bookshelf? What would you add to my creativity list? I’d love to hear from you! Puerto Rican novelist, Eleanor Parker Sapia, was raised in the United States, Puerto Rico, and Europe. Eleanor’s careers as an artist, counselor, alternative health practitioner, Spanish language family support worker, and a refugee case worker, inspire her stories. ‘A Decent Woman‘, Eleanor’s debut novel, set in turn of the nineteenth century Puerto Rico, was selected as 2015 July Book of the Month for Las Comadres & Friends National Latino Book Club, and is listed in Centro Voices, The Center of Puerto Rican Studies, ‘Essential Boricua Reading for the 2015 Holiday Season’. Book clubs across the United States continue to enjoy A Decent Woman. Eleanor is featured in the anthology, ‘Latina Authors and Their Muses’, edited by Mayra Calvani, and in the soon-to-be released anthology, Organic Coffee, Haphazardly, edited by Allie Burke. 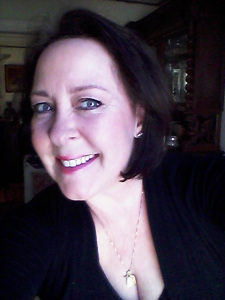 Eleanor is a proud member of Las Comadres Para Las Americas, PEN America, The National Association of Professional Women, and the Historical Novel Society, and she is a contributing writer at Organic Coffee, Haphazardly Literary Society. When not writing, she loves facilitating creativity groups, reads, and tells herself she is making plans to walk El Camino de Santiago de Compostela a second time. Eleanor is a mother of two wonderful adult children and currently lives in West Virginia, where she is writing her second novel, ‘The Lament of Sister Maria Immaculata’, and a collection of short stories. 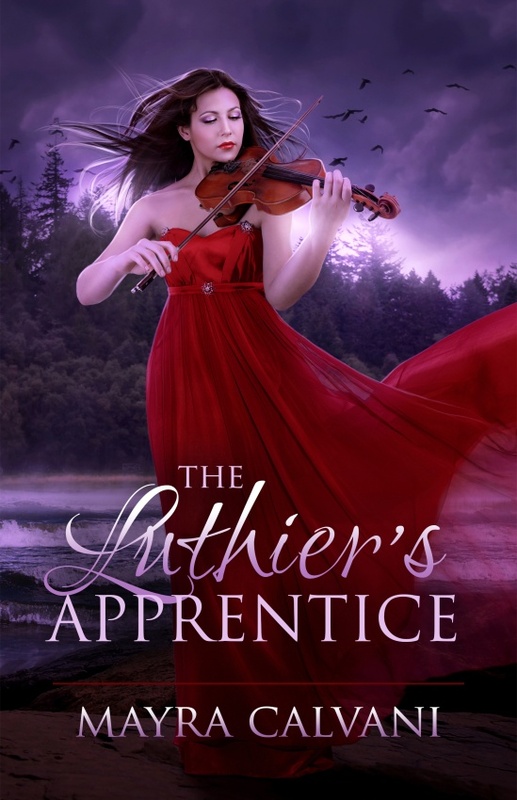 I am very pleased to introduce Mayra Calvani, author of “The Luthier’s Apprentice which comes out today! Congratulations! We met through a mutual friend while living in Brussels, Belgium and bonded when Mayra joined a creativity group I facilitated based on the book, The Writing Life by Julia Cameron. We share Puerto Rican roots, a love of writing, classical music and great books. She is a good friend and over the years has become one of my writing mentors. Award-winning author Mayra Calvani has penned over ten books for children and adults in genres ranging from picture books to nonfiction to paranormal fantasy novels. She’s had over 300 articles, short stories, interviews and reviews published in magazines such as The Writer, Writer’s Journal and Bloomsbury Review, among others. A native of San Juan, Puerto Rico, she resides in Brussels, Belgium. It just came to me in a flash, the way titles sometimes do come. I knew the title before I started writing the story. I wrote this book for Nanowrimo back in 2007. At that time, it was an experiment. I hadn’t participated in Nanowrimo before. It was an exciting, exhilarating experience, but I knew the manuscript needed a lot of editing and polishing, so I put it aside for a long time. Then I worked on it on and off as I worked on other projects. That’s why it took so long to publish it. I studied/played the violin for 5 years, and my daughter has been playing it for 8 years, so violin music has been a big part of my life for a long time. There’s something darkly mysterious about the violin, and I’m in awe of soloists who have the skill to master it. The making of the violin itself is fascinating to me as well. And, of course, I also love listening to violin music whenever I can. Naturally, violin music has been very influential in my writing. I just find it immensely inspiring. Besides The Luthier’s Apprentice, I have also written several children’s picture books related to the violin. Readers can learn about them here: www.MayrasSecretBookcase.com. Creating something out of nothing. Sharing my imagination with readers. Getting paid to daydream. And nothing beats being able to work in your pajamas. Every book that I’ve written has been hard to write. Though writing is my life and in a way, like breathing, I have a love & hate relationship with it. First of all, the mechanics of the craft are always a challenge: constructing the plot, creating the characters, balancing all the elements, i.e. description, dialogue, narrative, symbolic imagery, etc. Then there’s the word choice and the agonizing over verbs, adjectives, adverbs. Besides this, there’s the emotional aspect of the journey: struggling with the inner critic, bouts of self-doubt, writer’s block, irritability over not writing, dealing with negative criticism, remorse due to sacrificing time with family and friends, spending hours, days, months, years sitting at the computer without any assurance that the book will be read by enough people or earn enough money to make all that time worthwhile. But as writers, we are artists, and the artist’s soul is an interesting, compulsive animal. Writing is our vocation, our drug, and we must have a regular fix or go insane. At the end, after a good writing day which may happen while still experiencing all of the above, I’m sweetly exhausted and at peace. Anne Rice, Tama Janowitz, Donna Tartt, Albert Camus, Kate Chopin. In my early teens, strong influences were Agatha Christie mysteries and Barbara Cartland romances. Also Harlequin contemporary romances. In my twenties, strong influences were Tama Janowitz, Kate Chopin, and Albert Camus. Later on, Anne Rice and Donna Tartt. My little office, especially when I’m alone at home and everything is quiet. But, sometimes, when I have trouble concentrating, I go and work at a café. Be prepared to wait. A lot. Having an agent does not guarantee a sale. Don’t let anyone interfere with your dreams or goals of becoming an author. No matter what anyone says. Do what you have to do to accomplish it. Learn the craft, take courses and/or workshops if you have to, join writer organizations and a critique group. Interact with like souls who actually understand the creative spirit. Above all, read a lot and write a lot, as often as you can. The longer you stay away from writing, the harder it is to get back to it. And the more you write, the better you get at it. Amazon Kindle; Apple iBookstore; BN.com Nook; Kobo Books; OmniLit, and others. 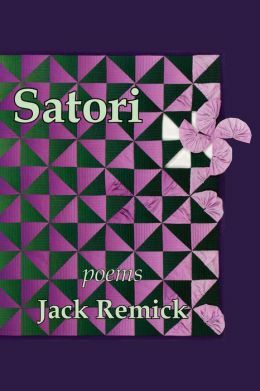 In Satori, poems, Jack Remick grabs our hand and leads us on a breathless, mystical, raw and relentless coming of age journey from boy to man to poet in search of satori, a spiritual awakening. There is no stopping once you read the first lines of this book. You will run from one poem to the next, rushing by vivid descriptions and captured details on a wave that makes you wonder if you have ever actually seen the world and question how much you’ve missed. We meet artists of the era, such as Mauritz Cornelius Escher, “Twenty-three years into his death-stream this man still aches his bones down to the asphalt city curled like a lizard writing in rain he still feeds me his mind heat his voice says-build a world of black and white…” and Remick’s mentor, Jack Moodey, “…That head burst open on the slick wet stone in the shower And poetry died…”. In Midnite and Josie Smells Sweet, we meet brown-skinned Josie Delgado in her white shorts, “…Saturday nite, Josie, another world in those lips that mouth, that hair, that skin-Josie is one hundred percent mine…” who asks, “Will you kill yourself for me?” and then broke hearts by her untimely death. Youthful lust, raw living, the building of America, and Death Waits, “Death waits at the corner/an old woman for the light…” and from Honey Word of Jesus Christ, “…One Sunday, I grew Old. One Sunday I learned of the Man in Me…”. Once you catch your breath after reading the last line, you will return to page one to savor the haunting rhythm of Jack Remick’s life and the men and women who taught him what he knows. I highly recommend Satori, poems!